In recent January 2018, crypto bloodbath caused by the different news and FUD, one coin that stood the storm is DigixDAO coin aka DGD. DigixDAO coin, DGD rose by more than 50% against the drop of around -20% in Bitcoin and Ethereum. Here is brief on what is DigixDAO coin, DGD. The rise of the DGD could be due to the stable gold background of DGD and accompanying token DGX. But this is just a speculation. Warning: Before we proceed, I would like to clearly state that this post is not an investment advice. Investment is cryptocurrencies or crypto tokens is highly speculative and one should prepare to lose all his/her money. Having stated these, let's look at DigixDAO coin or token DGD. Digix offers coins for gold on the Ethereum blockchain. The company uses the blockchain and its unchangeability, transparency, and predictability by applying it on precious physical assets. Digix has created a technology called the Proof of Asset Protocol and Digix Gold Coins, the DigixDAO Coin DGD, on Ethereum. In Mar 2016, DigixGlobal Private Limited, finished the first crowdsale of DGD on the Ethereum Blockchain. It exceeded anticipation by taking 5.5 million in 12 hours. This created Digix DAO, the first major Ethereum Distributed Autonomous Organization. To date, Digix has created two kinds of Ethereum coins, each with distinctive properties. Both of these coins, DGX and DGD, complement one another to assure their mutual success. DGX is set to become the future gold standard for the exchange of values in the etheric ecosystem. Each DGX coin represents 1 gram of 99.99% LBMA standard gold and is guaranteed and stored in safe homes. An onchain verification of the auditing, no fracture reserve, and fully allocated gold bars are the main features of DGX. 100 DGX coins stand for 100 grams of physical gold, which the user can redeem personally or by mail. Here is brief FAQ on DGX and DGD. With DGD tokens, the user is entitled to receive a quarterly reward based on the total DGX collected through 0.13% interchange fee aka transaction fee. 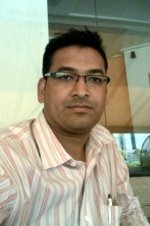 The transaction fee is the fee to send DGX on ethereum. DGD tokens are utilized as a base to submit proposals to DigixDAO for increasing the DGX adoption. The DGD value fluctuates by exchange rates and market forces. There is a total of 2,000,000 existing coins. This is very good token supply amount (I meant less) to increase the price of DGD coins in future. DigixDAO DGD coin helps implement an application case for co-creation and documentation of physical assets through its asset proof protocol. PoA protocol uses Ethereum and the InterPlanetary file system to track an asset in its blockchain. This allows open and public verification of the existence of an asset without a central database. 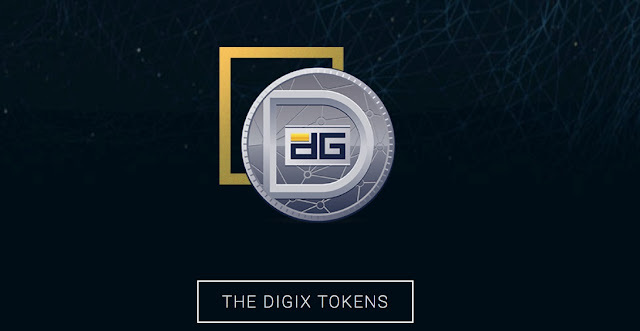 Digix also offers an Application programming interface that permits you to build other applications on the company's asset coinization service. The ledger technology is based on the participating users who provide the network by confirming transactions and utilizing a consensus mechanism. Blocks found are automatically stored on each participating computer. Digix is to become the digital market for gold bars. Each asset represents a distinctive gold bar held in designated deposits. The provenance of gold is traced, unaltered and exists indefinitely. The company allows users to purchase gold rapidly and efficiently. Digix has also developed a system to track asset existences and the respective asset owner on a blockchain. Every step in the authentication process is constantly published through Ethereum and its IPFS. The user can buy gold bars from LBMA refineries with accompanying assay certificates from refineries like Valcambi, PAMP Switzerland and Nadir Bullion. The appointed auditor, Inspectorate Bureau Veritas, provides quarterly audits of every gold assets in secure company houses. In accordance with the business, gold is the safest value to secure one's prosperity because gold has proved to be stable over the long term. In addition, Digix can protect users from the inherent price volatility of digital assets with the gold standard. Buyers have never before been capable of getting gold bars available on the market immediately after the digital purchase of gold. The storage of gold bars makes it more challenging to trade and use them. Digix offers the means to liquidate the metal and use it in everyday activity with the same level of physical security. As of writing this article, according to popular coinmarketcap, a popular site that tracks crypto assets, the total market cap of DGD stood at USD $719,052,000 at 06:19:48 UTC on Sunday, February 4, 2018.